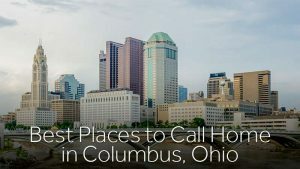 If you are moving to Columbus, Ohio, finding the perfect neighborhood can be overwhelming. You have to consider proximity to your job and your children’s school among other factors. But don’t fret! This guide will help you narrow down your choices by providing you with information on the best neighborhoods in the area. If you are looking for a family-oriented location, then Powell is easily a place you should consider. House values in this area are significantly over $300,000, and the unemployment rate is lower than the national average at a rate just over 3 percent. Additionally, Powell is focused on community-oriented activities, which means your family will have access to a lot of community events. Based on the availability of jobs, high incomes and community events, Powell is one of the best places to live in Columbus. If you are looking for a Tudor, Classic Colonials, or atowne house, then you will find that Dublin has a lot to offer. Dublin is notoriously a family-friendly, community-focused neighborhood. Local festivals include a St. Patrick’s Day Parade and the Dublin Irish Festival. A decision to live in the area means you will have access to great jobs, schools and hefty home values. Being a part of a community has a resounding impact on family life. If you choose to move to Westerville, then you are in for an experience of your life. Historically, Westerville is the location of the first post office ever. In homage to their historic beginnings, the homes in Westerville are also historic, stately and highly valued. Located east of downtown, moving to this area means you will have easy access to upscale shopping and dining. Your children will also live in a district that is considered to have some of the best schools in Columbus. Research shows that being inside of a school district that is considered the best helps homeowners retain the value of their home. 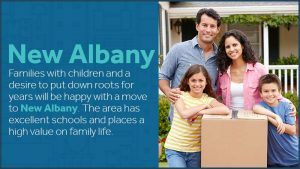 If home values and school districts is a concern for you, then you should consider a move to New Albany. Known for its proximity to the best schools, New Albany is east of downtown. The area consists of middle-income families who value community and family life. Families with children and a desire to put down roots for years will be happy with a move to New Albany. Just south of downtown you will find German Village, one of the most prestigious areas in Columbus. The area is known for its renovated historic homes that appeal to people of different age groups. The homes maintain their value by residents maintaining their lawns in a nearly ritualistic manner. If you want easy access to downtown, then consider moving to German Village. After you’ve settled on a neighborhood, Zippy Shell is your one-stop shop for moving services in Columbus. We offer storage services and moving supplies to help you make the process easier. Our storage services are competitive. If you are paying more than $149 for storage, then you are paying too much. Give us a call to save 20 percent on your storage fees and move for free.